On Jan. 23, 2018, the Federal Circuit in In re Janssen held that a patent issuing from a continuation-in-part (CIP) application is not eligible for 35 USC § 121 safe harbor protection, even if the patent is re-categorized as a divisional application during reexamination. Thus, the court determined that the patent at issue—US 6,284,471 (the ’471 Patent)—was invalid over reference patents US 5,656,272 (the ’272 Patent) and 5,698,195 (the ’195 Patent) under the doctrine of obviousness-type double patenting. By way of background, the Federal Circuit has previously determined that “aside from the original application and the original patent, the protection afforded by § 121 is limited to divisional applications and patents issued on divisional applications.” In re Janssen, at 9 (emphasis added). Thus, the safe harbor does not protect CIP applications. 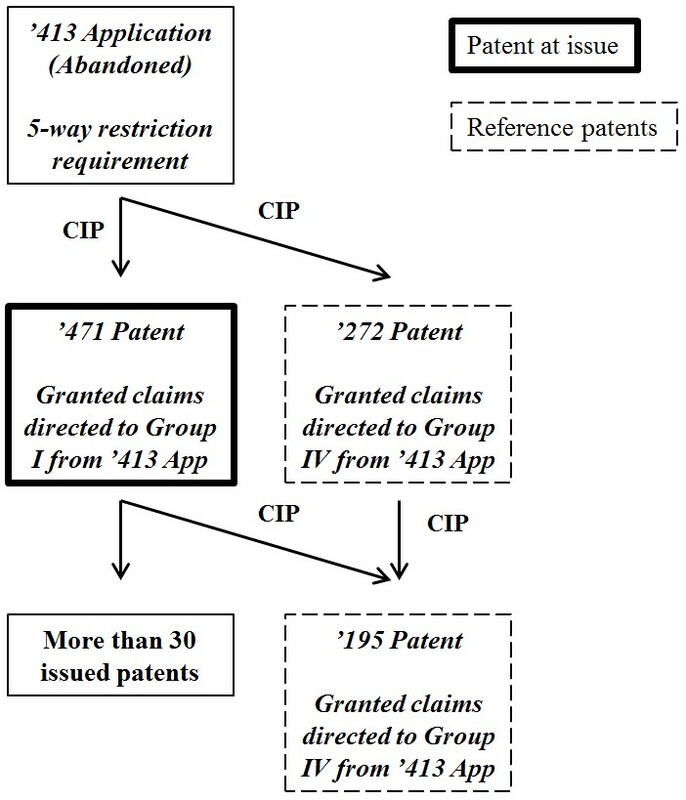 The ’471 Patent was filed as a CIP of the parent, with (i) claims encompassing Groups I and IV of the parent and (ii) claims setting forth subject matter not included in the parent (i.e., containing subject matter added in the CIP). However, the patent ultimately issued with claims fully supported by the parent (i.e., not containing the added subject matter) and that were directed to Group I, but not Group IV, of the parent. ’471 Patent via the safe harbor, Janssen amended the specification to conform with the parent (i.e., to remove subject matter not present in the parent) and requested that the ’471 Patent be designated as a divisional application (instead of a CIP). Despite Janssen’s efforts, the PTO determined that the safe harbor cannot protect the ’471 Patent because they “f[ou]nd no reason to permit [Janssen] now, by amendment, to acquire the benefit of the safe harbor when [Janssen] voluntary[il]y and deliberately filed a [CIP] application with claims directed to subject matter absent from the [parent application] . . . .” Id. at 7-8. In a prior Federal Circuit decision — Searle v. Lupin, 790 F.3d 1349 (Fed. Cir. 2015) — the court held that reformulating a CIP as a divisional via a reissue proceeding is insufficient to establish protection under the safe harbor. In Searle, the patent at issue was filed as a CIP, and the issued claims contained subject matter not disclosed in the parent application. The patent owner used the reissue proceeding as a vehicle for (i) amending the specification and claims of the patent to remove added subject matter and (ii) re-designating the CIP as a divisional application. The court nevertheless refused to apply the safe harbor because “for years [after the patent issued] the public was not free to practice that new matter . . . . Fairness to the public does not permit [the patent owner from taking] advantage of the safe harbor provision, simply by designating it as a divisional application years after the fact.” Searle at 1355. The instant case is different from Searle, however: the issued ‘471 Patent claims never contained new matter, i.e., they were fully supported by the parent application. Even so, the court highlighted that Janssen still received a benefit from designating the application as a CIP. For instance, the added—but unclaimed—subject matter provided priority-related benefits for subsequent applications. In particular, “Janssen had benefitted because more than thirty patents issued to Janssen claiming priority to the ’471 Patent . . . . 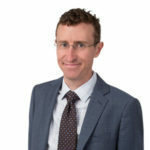 Determining whether any of those patents rely on the deleted subject matter for support cannot be accomplished without reopening examination of each patent.” In re Janssen at 13. Even without receiving such a benefit though, the ’471 Patent still would not be protected under the safe harbor. In this regard, the court pointed to the “issued on” requirement of the safe harbor provision, and emphasized that the ’471 Patent “cannot retroactively become, for purposes of § 121 a ‘patent issued on’ a divisional application after it already issued on a CIP application; not even if that CIP application is effectively redesignated as a divisional application during reexamination.” (emphasis added). Id. at 12. Thus, “[f]or a challenged patent to receive safe-harbor protections, the application must be properly designated as a divisional application, at the very latest, by the time the challenged patent issues on that application.” Id. at 12-13. In other words: The Federal Circuit seems to rely on a patent’s issue date as a bar for post hoc pursuit of safe harbor protection by designating an application as a divisional. The In re Janssen court held that patents filed as CIP applications, and later reclassified as divisional application during reexamination, are not eligible for safe harbor protection under 35 USC § 121. This is the case even if the application could have been properly designated as a divisional application prior to issuance. Given the uncertainty associated with application of the safe harbor “redesignated divisionals,” applicants may want to classify continuing applications as divisionals at filing when appropriate and desired.